Tech stocks, which led the rally for much of the current stock market bull run, are also leading the market sell-off that’s occurred since the start of October. The crème-la-crème of the tech space — Facebook, Inc. (NASDAQ: FB), Amazon.com, Inc. (NASDAQ: AMZN), Apple Inc. (NASDAQ: AAPL), Netflix, Inc. (NASDAQ: NFLX) and Alphabet Inc (NASDAQ: GOOGL) (NASDAQ: GOOG) — are collectively known as the FAANG group and have generated negative returns this fall, with Google and Facebook in the red for the year. The group has lost a collective $1 trillion in market value since hitting their highs for the year, the Financial Times reported, quoting data from Bloomberg. 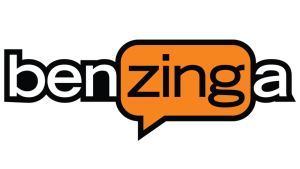 Read the full story at Benzinga.